How Much Weight Will You Lose Eating 1,000 Calories? Eating 1,000 calories daily may help the numbers on the scale go down. 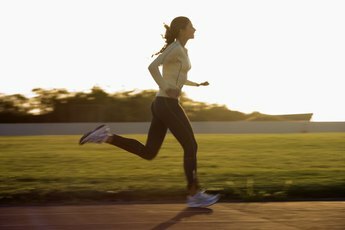 Losing pounds depends upon taking in fewer calories than you burn off, so decreasing the total number of calories you eat in a day is a good way to jump-start weight loss. In order to do so, you must first determine how many calories you need to eat to maintain your current weight. A registered dietitian can help determine your caloric needs as well as ways to personalize a diet plan that will help you lose weight healthfully. How Many Calories are Needed? For some individuals, eating 1,000 calories a day would cause a drastic weight loss, but for others, it may not result in much of a weight change at all. This is because caloric needs differ from person to person, based on age, gender, height and weight. On average, adult men of a healthy weight may need about 2,000 calories a day. Adult women typically require less. You can use the USDA's MyPlate program to help determine how many calories you need. If the number is 1,000 to 1,200 calories daily, eating this amount will not result in a weight loss unless you also increase the amount of calories burned. You must burn about 3,500 calories to lose a pound. So, to lose a pound a week, you could decrease your daily intake by 500 calories, causing your body to draw from fat reserves. This may involve some simple lifestyle changes. For example, if you regularly drink colas and other high-calorie beverages, cutting out two cans a day will help you reach half your goal. After you have determined how many calories you need to simply maintain your weight, you can determine how much weight you might lose by eating 1,000 calories instead. For example, if you need 2,000 calories for weight maintenance, going to 1,000 calories means you are shaving 7,000 calories a week, which translates to about a two-pound loss. Also, that does not factor in any calories that you might burn through exercise or other physical activity. It is important to consume the right amount of calories you need to perform normal day-to-day activities. If you eat only 1,000 calories when your needs are much higher and also significantly increase your physical activity, you could put yourself at risk for health problems. Losing a pound or two a week is a safe goal for many people. 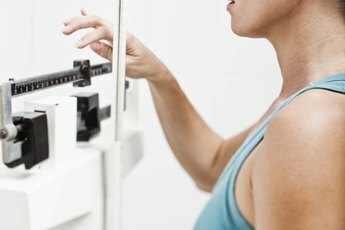 For those who normally need 1,500 to 2,000 calories a day for weight maintenance, eating 1,000 calories instead will likely result in this type of weight loss. However, significant calorie reduction should be done only under the supervision of your doctor. Nutrition411: Weight Gain or Loss -- What Equals 1 Pound? 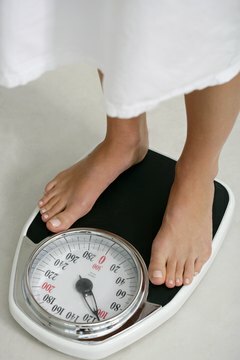 Is it True That You Can Lose More Weight on an 1,800-Calorie Diet Rather Than on a 1,600-Calorie Diet? How Much Weight Can You Lose Eating 1,350 Calories a Day? How Much Weight Can You Lose by Walking on the Treadmill 45 Minutes a Day? Do You Need to Worry About Calories or Fat Calories?